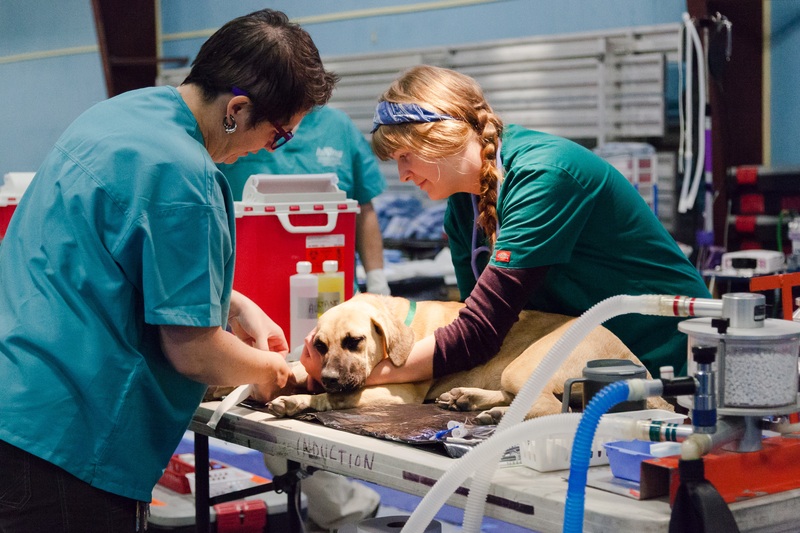 There are countless ways that veterinary professionals can volunteer to help animals in need. A good place to start is by contacting your local animal shelter or rescue group to find out how you can help. Offering spay/neuter vouchers, free first exams for adopted animals or even posting adoption flyers in your clinic waiting room are just a few examples. For those who are looking for additional rewarding opportunities beyond your immediate community, listed below are some great ways to get involved in providing direct care to animals in need through a variety of programs run by the Humane Society of the United States and its affiliates. For those looking to help animals on a larger scale through animal advocacy and outreach, HSVMA offers myriad opportuities to help with our advocacy efforts as well as our Speaker's Bureau, mentor program and other outreach activities. For more information about these volunteer opportunities, please visit the websites or follow up with contact information included below. For information about volunteering with HSVMA, please email [email protected]. HSVMA thanks you in advance for your volunteerism and commitment to animal welfare. The Fund for Animals Rural Area Veterinary Services (RAVS) program combines community service and veterinary mentorship to bring free veterinary services to under-served rural communities where poverty and geographic isolation make regular veterinary care inaccessible. Each year RAVS staff members and more than 350 veterinary and veterinary technician volunteers provide essential veterinary care for more than 8,000 animals, all at no cost to the clients or communities served. In addition the program provides valuable training and experience for hundreds of veterinary students that goes far beyond anything they could learn in a classroom alone. RAVS' teaching programs include training in medicine and surgery as well as community education and recognition of animal health problems in economically disadvantaged populations. Through these efforts, they provide care for animals in need, expand the skills of veterinarians and veterinary technicians and inspire their participation in animal protection efforts. In 2018, the RAVS program is making an organizational move within the HSUS family of affiliates to the Fund for Animals. RAVS will continue to deliver essential care to animals in need while providing high-impact service learning opportunities for veterinary students and professionals and will continue to work closely with the HSVMA to support a humane veterinary profession. By comprehensively addressing the lack of accessible, affordable pet care in under-served communities, the HSUS Pets for Life program keeps pets in the homes they already have, improving their quality of life and elevating the human-animal bond. Pets for Life embraces the human component of the human-animal equation by approaching people in a respectful way and recognizing that people’s love for their pets transcends socioeconomic circumstances and cultural differences. They provide ongoing neighborhood outreach and offer free services such as dog training, spay/neuter surgeries, vaccinations, pet supplies and general wellness care. Pets for Life partners with animal welfare organizations and other important community leaders and service providers, including faith-based entities, social service programs, health care agencies and local businesses. Pets for Life provides direct care in Philadelphia and Los Angeles, but through its mentorship programs, it’s established an official presence in dozens of cities around the country. By providing additional advocates with a toolkit, webinars, hands-on training and a steady stream of supportive emails and phone calls, it’s helping thousands more pets across the country. To see if there is a Pets for Life program in your community, visit the Where is Pets for Life? webpage. Learn more about this program and how you can volunteer here. The HSUS's Animal Rescue Team works with law enforcement to investigate illegal animal cruelty, targeting the worst cases of animal abuse nationwide. Every year they rescue thousands of animals from puppy mills, animal fighting operations, natural disasters, and other situations where animals suffer from life-threatening cruelty and neglect. They also provide expert animal rescue response at natural disasters. Read more about the team's extraordinary efforts around the country. If you'd like to join the team, learn how to become a volunteer here. WATCH THE HSVMA INFORMATION SESSION ON VOLUNTEERING WITH ART! View the information session on "Volunteering with the HSUS Animal Cruelty Rescue and Response Team," presented by Kiersten Anderson, the team's volunteer manager, to learn more about how veterinary professionals can get involved and what to expect on a volunteer rescue mission. HSVMA is affiliated with two animal care centers that have excellent veterinary internship and externship programs in equine, wildlife, and zoological medicine. Each center offers onsite housing and provides top-notch hands on training, but differ in location and length of commitment required. The Fund for Animals Cleveland Armory Black Beauty Ranch in Murchison, Texas is a 1,400 acre sanctuary housing over 40 species. The ranch has a newly constructed, modern veterinary hospital able to accommodate all the sanctuaries’ species for medical or surgical care. They also recently finished a new equine handling facility designed by Temple Grandin, complete with indoor treatment facilities and built around two hydraulic, humane handling chutes. The South Florida Wildlife Center is located in warm Fort Lauderdale, Fla. The facility rescues more than 12,000 animals a year, most of whom are native species such as alligators, egrets, opossums, pelicans, turtles and otters. The center rescues and rehabilitates injured, abused and orphaned animals until they can be returned to the wild. The center also takes in several thousand exotic animals each year—including pet pythons let loose in swamps, parrots who have escaped captivity, as well as exotic mammals whose owners abandon or surrender them. In the high desert town of Ramona, California, the Fund for Animals Wildlife Center—operated by the HSUS in partnership with the Fund for Animals—is always open for business. No matter the hour, center staff offer immediate help to injured or orphaned wild creatures, rehabilitating about 400 animals every year. Coyotes, bobcats, cougars, hawks, owls and eagles are the most frequent patients, receiving expert care until they can be returned to their natural habitats. Nearly 50 animals rescued from the exotic pet trade and cruelty cases have also found permanent homes at the center. Samson the lion, Hannah the pygmy hippo and Sheeba the cougar once suffered in the hands of private owners. At the center, they’re given appropriate care and treated like the wild animals they should be. The 1,120-acre the Fund for Animals Duchess Sanctuary, south of Eugene, Oregon, was established in 2008 as a safe haven for 200 abused or abandoned horses. The first residents were mares and their offspring saved from Canadian farms that collect urine from pregnant horses to sell to pharmaceutical companies for estrogen replacement drugs. Many of the elderly mares had spent six months of the year for decades confined in dark stalls, hooked up to urine collection devices and unable to turn around. Their foals were taken away at 3 months of age, some destined to join the urine-production line, and others sent to slaughter. At the Duchess Sanctuary, these animals have left misery behind and now spend their days grazing, napping and running across green pastures, joined by rescued wild mustangs and horses saved from slaughter. Native wildlife shares the habitat, including California quail, turkey, coyote, black bear, black tail deer and rare Columbian white tail deer. While Cleveland Armory Black Beauty Ranch and Duchess Sanctuary do not offer veterinary externships, they do have many volunteer opportunities available. Please refer to their websites for more information. Humane Society International, the international arm of the Humane Society of the United States (HSUS) and a sister organization to the Humane Society Veterinary Medical Association, is currently supporting a program in Guam where we collaborate with the local animal welfare organization Guam Animals in Need (GAIN) to provide low-cost spay/neuter services to the local community and the shelter animals ready to go to their forever homes. We are currently looking for a veterinarian that specializes in HQ/HV/S/N to join this program either as a visiting veterinarian, or as a full-time veterinarian (consultant position). Both roles are expected to help GAIN significantly increase the numbers of animals that are spayed/neutered in Guam. This is a volunteer opportunity for a minimum of two weeks or a paid consultant position for those who are interested in a long-term arrangement. Housing may be provided by a local organization (GAIN). In addition to the opportunity to help address the companion animal overpopulation on the island, this is a great opportunity for anyone looking to travel to the Pacific and/or who enjoys for snorkeling, scuba diving and other water sports activities. If interested, please contact [email protected] for more information. 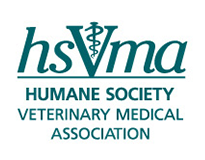 One of the main focuses of HSVMA is to provide opportunities for veterinary professionals to get involved in advocacy and outreach activities to improve animal welfare. 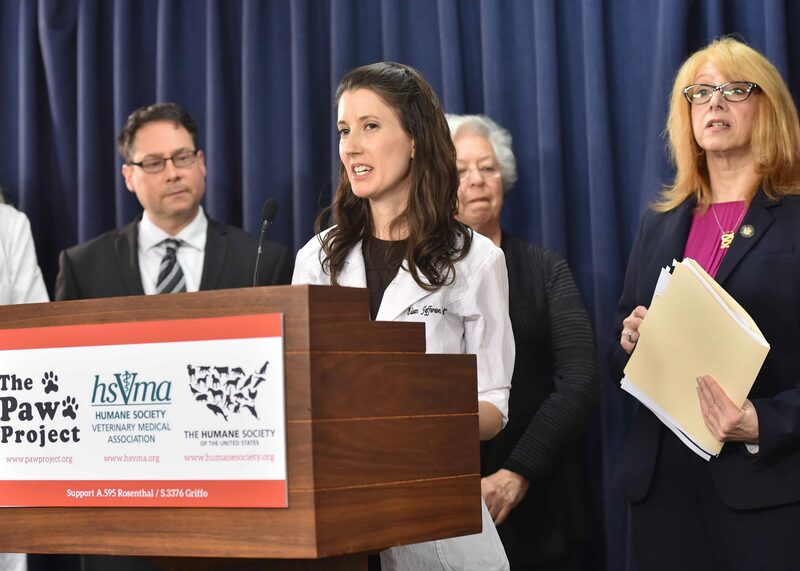 From testifying on behalf of animal welfare legislation to presenting at veterinary schools and conferences, serving as a mentor or participating in our HSVMA State Representative Program, there are many ways that veterinary professionals can put their skills and expertise to use to help animals on a broader scale. Below are links to various HSVMA program activities where we utilize volunteers. If you are interested in any of these opportunities, please contact [email protected].